The past 10 years have see an incredible change in pricing financial products, driven by the credit crisis which started in 2007 with the near bankruptcy of Bear Sterns, reaching a first climax with the implosion of the US housing market and the banking world’s downfall, and then turning into a sovereign debt crisis in Europe. A major change to have affected the landscape has been the increasing complexity in the valuation of derivatives – multi-curve pricing , various value adjustments (XVAs) using Monte Carlo simulation of markets through time , credit risk measurement and capital allocation – all based on increasingly complex mathematical and IT machinery. 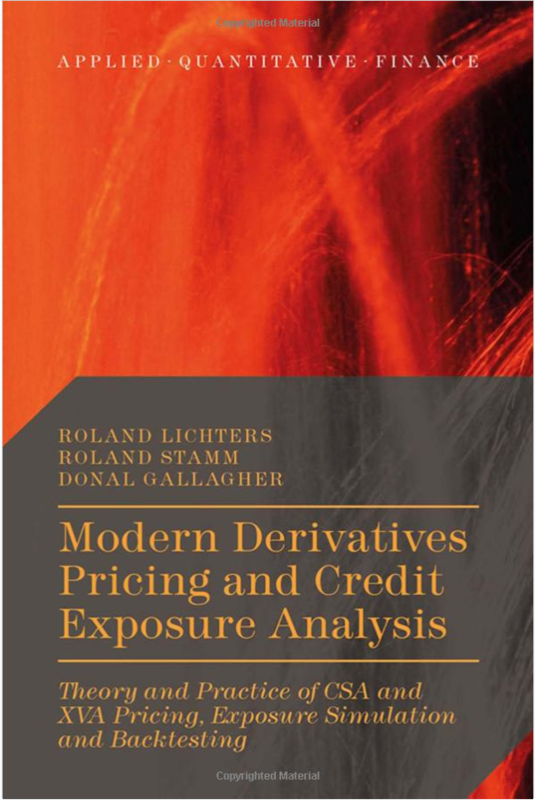 Published in November 2015, Modern Derivatives Pricing and Credit Exposure Analysis is a comprehensive, practical guidebook for modern derivatives pricing and credit analysis, written with the practitioner in mind. Theoretically rigorous but focused on market practice, it provides a detailed and consistent toolkit of pricing and risk methods to cope with the increasing complexities of today’s derivatives management. The presented risk factor evolution models for six different asset classes allow efficient computation of various value adjustments (XVAs) and risk measures in a competitive and increasingly regulated environment. The text bridges the gap between the risk-neuraland real-world measure for backtesting purposes and explains different methods for speeding up XVA computation in order to allow fast calculations of margin adjustment or XVA greeks. Written to provide sound theoretical detail with practical implementation, this book provides readers with both an overview and deep dive into valuation and risk methods applied in the industry today. See the book at the Palgrave Macmillan website.